1. Place your pan (I use a cast iron skillet ) over medium heat. 2. Melt the ghee in the warmed up pan. 3. Add in your mushrooms, carrots, and onions into the pan. Saute until the onions get opaque and the mushrooms/carrots start to release their juice. This will take several minutes. 4. Turn down the heat to low and cover the pan with a lid. Cook for about 5-8 more minutes, or until the mushrooms are cooked throughout. 5. Turn the heat off on the stove and let the vegetables cool for about 5 minutes. 6. Add in the sour cream to the pan and stir to combine. 7. 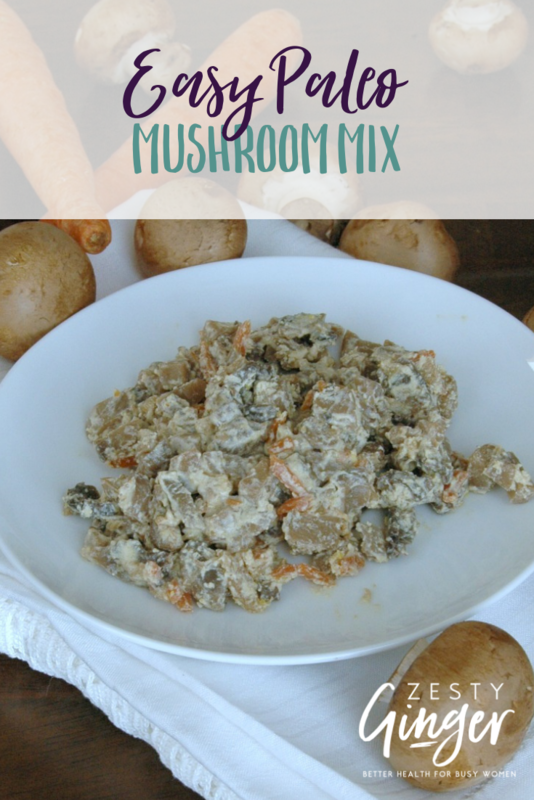 Transfer your mushroom mix to a serving bowl or a tupperware container. Serving Suggestion: You can serve this dish hot or cold. It makes for a super nutrient-rich and delicious side dish to meats and a big salad.